The kids are out of school, the weather’s great, and families are planning this summer’s camping trip. Camping is a great way to create bonds and memories that will last a lifetime. A poorly planned outdoor vacation, however, becomes memorable in the worst way, especially if someone gets hurt. A little planning will make sure everyone enjoys themselves safely, and some of these plans are similar to survival strategies. If you’re not a veteran camper, don’t start by attempting to climb Yosemite’s El Capitan. Start by taking day trips to National Parks or a local lake. Maybe you could start using that firestarter tool, setting up your tent, and making a campfire in your backyard to get through the learning curve. See how things work out when you don’t have to stay in the woods overnight. If the result is a big thumbs-up, start planning those overnighters. Whatever type of camping you do, you should always be aware of the capabilities and general health of the people in your party. Children and elderly family members will determine the limits of your activities. The more ambitious you are, the more your plans may be beyond the physical ability of the less fit members of your family. 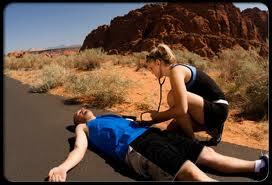 This leads to injuries as the end result in normal times or in survival scenarios. 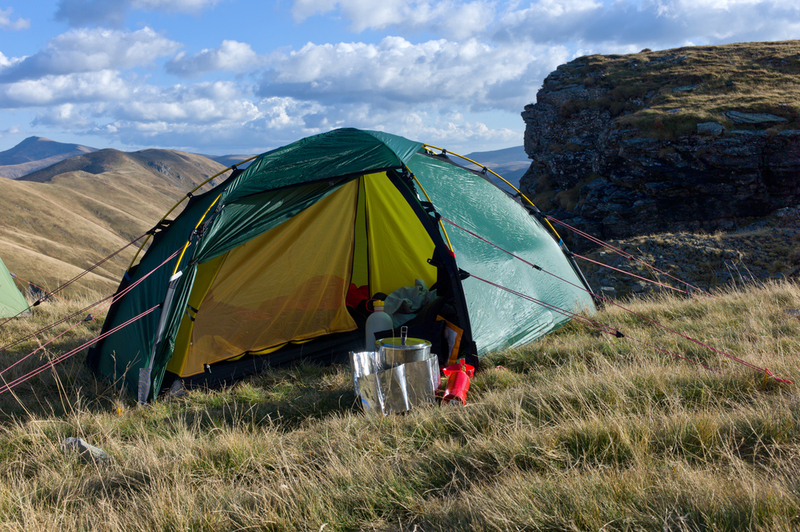 A very common error campers make is not bringing the right clothing and equipment for the weather and terrain. If you haven’t planned for the environment, you have made it your enemy. Although Spring and Fall have the most uncertainty with regards to temperatures and weather, storms can occur in any season. Conditions in high elevations lead to wind chill factors that could easily cause hypothermia. Here’s the thing with wind chill: If the temperature is 40 degrees, but the wind chill factor is 20 degrees, you lose heat from your body as if the actual temperature were 20 degrees. Be aware that temperatures at night drop precipitously. Even summer rain can lead to a loss in body temperature if you get soaked. In cold weather, you’ll want the family clothed in layers. Use clothing made of tightly woven, water-repellent material for protection against the wind. Wool holds body heat better than cotton does. Some synthetic materials work well, also, such as Gore-Tex. That’s all well and good in cool temperatures, but if you’re at the seashore or lakefront in the summer, your main problem will be heat exhaustion and burns. Have your family members wear sunscreen, as well as hats and light cotton fabrics. Sunscreen should be placed 15 minutes before entering a sunny area and re-applied to skin that gets wet or after, say, a couple of hours. 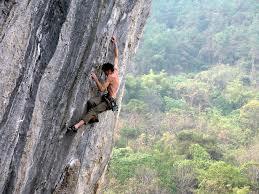 In hot weather, plan your strenuous activities for mornings, when it’s cooler. In any type of weather, keep everyone well-hydrated; dehydration will cause more rapid deterioration in physical condition in any climate. The most important item of clothing is, perhaps, your shoes. If you’ve got the wrong shoes for the activity, you will most likely regret it. If you’re in the woods, high tops that you can fit into your pant legs will provide protection against snakebite and tick bites. Tick populations are on the rise in the Northeast and Midwest, so beware of signs and symptoms of Lyme Disease. If you choose to go with a lighter shoe in hot weather, Vibram soles are your best bet. 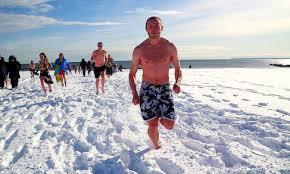 Special Tips: Choosing the right clothing isn’t just for weather protection. If you have the kids wear bright colors, you’ll have an easier time keeping track of their whereabouts. Long sleeves and pants offer added protection against insect bites and poison ivy. Real estate agents’ motto is location, location, location and it’s true for survival retreats and camping safety too. Scout prospective campsites by looking for broken glass and other garbage that can pose a hazard. Look for evidence of animals/insects nearby, such as large droppings or wasp nests/bee hives. If there are berry bushes nearby, you can bet it’s on the menu for bears. Berries that birds and animals can eat are often unsafe for humans to eat. Advise the children to stay away from any animals, even the cute little fuzzy ones. Even some caterpillars are poisonous. 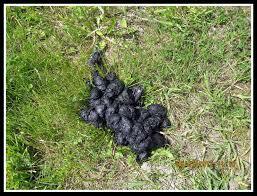 Bear Droppings! Camp somewhere else! Learn to recognize poison ivy, oak, and sumac. Show your kid pictures of the plants so that they can look out for and avoid them. The old adage is “leaves of three, let it be”. Fels-Naptha soap is especially effective in removing toxic resin if you suspect exposure. The resin can stick to clothes, so cur chips off and use for laundering. Build your fire in established fire pits and away from dry brush. In drought conditions, consider using a portable stove instead, like the EcoZoom. In sunny open areas, the Sun Oven will give you a non-fire alternative for cooking. About fires: Children are fascinated by them, so watch them closely or you’ll be dealing with burn injuries. Food (especially cooked food) should be hung in trees in such a way that animals can’t access it. Animals are drawn to food odors, so use re-sealable plastic containers. If you camp near a water source, realize that even the clearest mountain stream may harbor Giardia, a parasite that causes diarrheal disease and dehydration. Water purification is basic to any outdoor outing. There are iodine tablets that serve this purpose, and portable filters like the Lifestraw and the Mini-Sawyer which are light and effective. Boiling the water first is a good policy in any situation, although time-consuming. Remember to add one minute of boiling for each 1000 feet of elevation above sea level. Water boils at lower temperatures at higher altitudes, and takes longer to kill microbes. Few people can look back to their childhood and not remember a time when they lost their bearings. Your kids should always be aware of landmarks near the camp or on trails. A great skill to teach the youngsters is how to use a compass, a skill you can find in Glen Martin’s new book “Prepper’s Survival Navigation“. Besides a compass, make sure children have a loud whistle that they can blow if you get separated. Three consecutive blasts is the universal distress signal. If lost, kids should stay put in a secure spot instead of roaming about. Of course, if you have cell phone service…. Even if you’ve clothed the kids in protective clothing, they can still wind up with insect bites. Carry a supply of antihistamines, sting relief pads, and calamine lotion to deal with allergic reactions. Asking your doctor for a prescription “EpiPen” is a good idea if anyone has ever had a severe reaction to toxins from insect bites or poison ivy. They’re easy to use and effective, and few doctors would refuse to write a script for it. Citronella-based products are helpful to repel insects; put it on clothing instead of skin (absorbs too easily) whenever possible. Repellents containing DEET also can be used, but not on children less than 2 years old. Don’t forget to inspect daily for ticks or the bulls-eye pattern rash they often cause. If you remove the tick in the first 24 hours, you will rarely contract Lyme disease. Your personal kit may require some additional items to handle special problems with members of the family that have chronic medical issues. Take the above-listed items and add more to customize the kit for your specific needs. Maybe adding a tourniquet, hemostatic gauze, and an Israeli dressing for more significant injuries? Perhaps some antibiotics for longer backcountry outings? 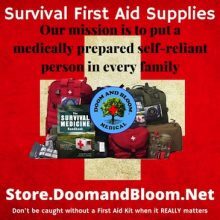 The more you add, the more it approximates a survival medical kit. 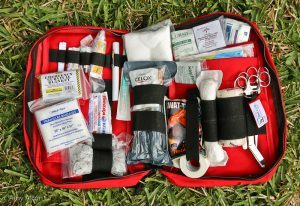 One suggestion for a quality, custom designed kit is our Grab and Go Deluxe Trauma Kit, which weighs less than 3 lbs. and is stocked with first aid and trauma supplies. Another smaller kit that weighs less than 1 lb, is our Ultimate Compact First Aid Trauma Kit, newly redesigned and perfect for short trips outdoors. In an emergency, the most important thing to do is to simply stay calm. If you have the above supplies, you can handle a lot of medical issues in the wilderness. Gain some knowledge to go along with those supplies, and you’ll have the best chance to have a safe and fun outing with your family. 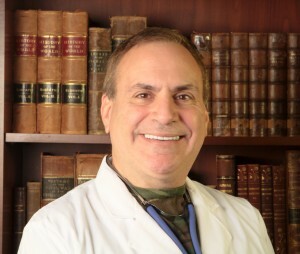 Are you ready to deal with medical issues when the you-know-what hits the fan? 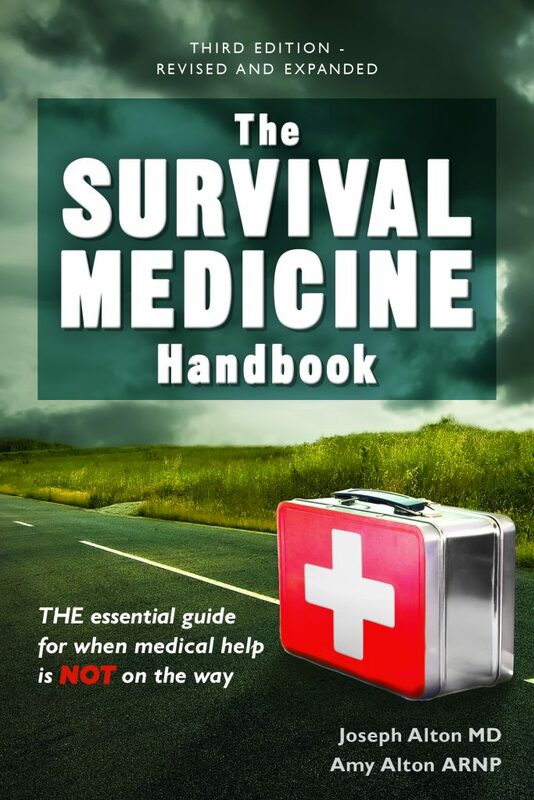 You will be, if you get a copy of our #1 Amazon Bestseller “The Survival Medicine Handbook”.